I recently posted some important BeerSmith desktop add-ons that many people have been requesting. The add-ons include a 2013 Hops update (63 new hop varieties), a 2013 Yeast update (29 new yeast varieties) as well as the long awaited Great American Beer Festival (GABF) style guide. New yeast varieties include updates for Wyeast, White Labs and Magrove Jack’s yeast varieties. From BeerSmith desktop (PC, Mac or Linux), click on the “Add-on” button (or File->Add-ons) to bring up a list of installed add-ons. Then click on the “add” button to see the list of new addons. The new ones are listed as “Hop Update 2013”, “Yeast Update 2013” and “GABF Style Guide”. Click on the install button to install any of them. In the case of the GABF style guide, the GABF styles will not show up unless you go to Options->Brewing and set the display style guide to “GABF 2013” instead of the default which is “BJCP 2008”. Many thanks to Ryan Hope who entered the GABF styles and also John Taylor for entering the hops updates. I’m in the middle of working on some major BeerSmith desktop updates as well as additional data updates and will get those both out later this fall. Hi, Could you help people with calculation of a double starter in beersmith with a future update? Hi Brad, big fan here….. Can you please make all the updates and add on packs available for the ipad app? Thanks. 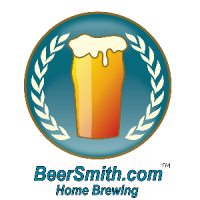 Looking for a yeast profile for Cote de Blanc yeast, is there one avail for BeerSmith 2?